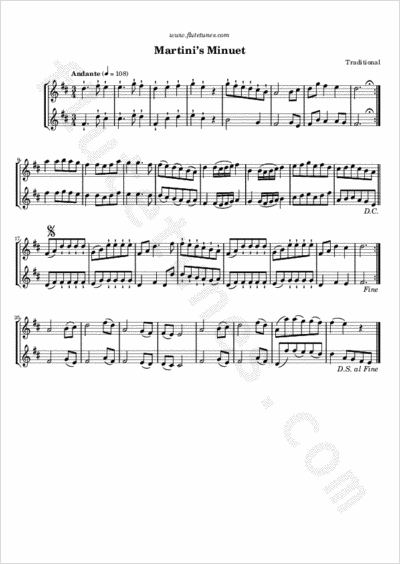 This minuet used to be a very popular tune, judging from the numerous times it appears in late-18th-century publications and manuscripts. The composer of the melody, however, has not been established, as several Italian musicians of the period carried the name Martini. This arrangement for two flutes is taken from Blake's Young Flutist's Magazine, published in Philadelphia in 1833.